If you have followed the Mets in 2008, I probably don’t need to tell you about the bullpen. In case you haven’t, let me fill you in: It stinks. Given my main point from part 1, you may be expecting another one-stop-shop solution from me. You may be expecting me to advocate on behalf of the man known as K-Rod, Francisco Rodriguez. In fact, the Mets are apparently already showing interest. I really like K-Rod, and I think he’s a good pitcher. But I don’t think he is the answer. I think the Mets need a fundamental change in the way they view the bullpen. Change we can believe in. Look at the teams that made the championship series in each league this year. The most expensive closer of the bunch was Brad Lidge, who was given a contract extension midseason. And he was essentially claimed off the scrap heap (don’t try and tell me Michael Bourn and his .288 OBP was a real prize). The vast majority of the pitchers coming out of the pen for playoffs teams are young, homegrown, power arms. Jonathan Broxton, Cory Wade, Jonathan Papelbon, Justin Masterson, Ryan Madson, David Price. All of these pitchers throw the ball around 95 mph, yet all of them together probably costs less than the $10 million the Mets will pay Billy Wagner next year to not pitch. So I want to give our young guys a chance. I think Eddie Kunz may end up being our set up man before July 2009. Bobby Parnell looked pretty good in limited exposure. Brian Stokes? Why not! Giving these guys a chance means getting the dead weight ahead of them on the depth chart out of the way. Give away Schoeneweis to anybody who will take him, or release him. I want to believe in Duaner Sanchez, but he may never be the same after his accident. It may be time for him to go. Feliciano and Smith were dreadfully overworked, so I think they could easily bounce back and have a better year next year. Trade Strong Sad to the Rockies for Huston Street. I’m not against signing a free agent, as long as it doesn’t cost a draft pick. 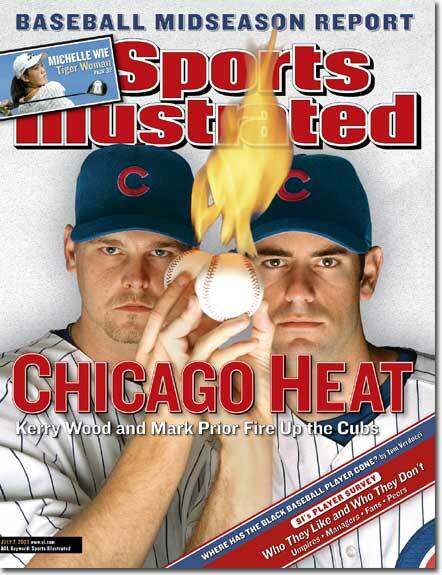 The interesting name in the mix is Kerry Wood. Even though he is a Type A free agent, he was not offered arbitration by the Cubs, meaning he doesn’t cost a draft pick. That means all he costs is money, and as I said before, I don’t care about the Wilpon’s money. The same goes for Joe Beimel, who could be a nice 7th or 8th inning guy. I would sign both of these guys, as well as any Japanese pitcher who seems halfway decent. Don't you put that evil on me SI! Basically, the philosophy is this: The Bullpen is a crap shoot. With the exception of a short list of pitchers, it is very difficult to predict what you are going to get from any given guy any given year. So don’t give up your valuable human capital (draft picks) and treasure for a guy who may have arm issues, like K-Rod, a guy who hasn’t proven anything, like Fuentes, or a guy who is freaking terrible, like Trevor Hoffman*. Instead, the Mets should stock up on arms who might contribute, give the young guys a chance to prove themselves, and give short, high dollar amount contracts to lure free agents who don’t cost prospects. In the current market, under-control players with talent are valued above all else, and our strategy should be to preserve and cultivate them, not give them to the Angels or the Rockies. *Seriously, how does a guy named TREVOR have a billion saves? Is he the least intimidating pitcher ever?